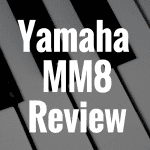 Yamaha is one of the best companies out there today when it comes to digital pianos. They deal in a wide range of instruments, especially electric or digital instruments. I’ve had a chance to own a couple Yamaha’s in my lifetime, and I have to say they are certainly one of the most satisfying brands to deal with. 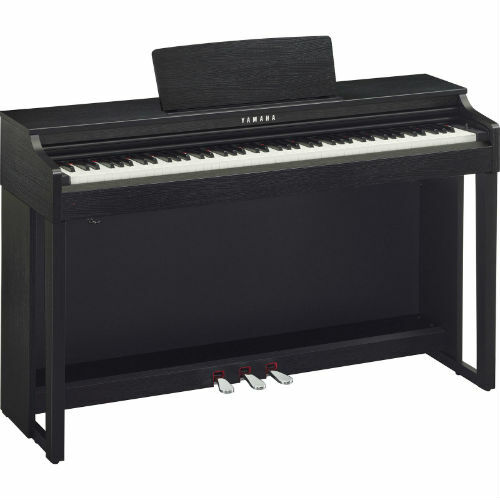 The digital piano Yamaha Clavinova is also one of the most well known lineups, so there is a high amount of quality that we are already dealing when it comes to the Yamaha CLP 525. I’ve had a chance to review a number of Clavinovas and I can’t remember the last time I felt disappointed. The CLP 525 is a digital piano that can also fall into the category of a digital console. Digital consoles many times carry a feel of an actual acoustic piano, but also that of an upright piano too. 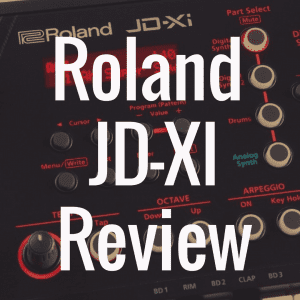 They combine the feel and certainly the look or aesthetic of an acoustic instrument, while also bringing all of the things you’d desire in an instrument that’s digital. Below, take a look at our interactive table that compares the Yamaha CLP-525 against other pianos like the CLP-440, the Yamaha YDP 162 and the YDP 181. The CLP 525 is also part of the CLP 500 series, which contains the CLP 535, CLP 545, CLP 565G, CLP 575, and the CLP 585. Each piano contains something a little bit different, and it’s important to compare across models to make sure you know which one is the right one for you. Later in this article, I’ll look at a comparison between this and the CLP 535. I’ll see how the CLP 525 stacks up against another Yamaha model–the YDP 162. I’ll also take some time to discuss everything you’d want to know about the CLP 525, including its design, build, features, price, connectivity, and sounds. The CLP 525 is a beautiful piano, and it really surprises me how compact it can feel when compared to other options on the market. Sometimes these pianos, in an attempt to feel more like a grand piano, can be unnecessarily big, bulky space hogs. With this model, that is not the case. In fact, the 525 (which is approximately 54 inches in length), would actually take up less space than some slab models. 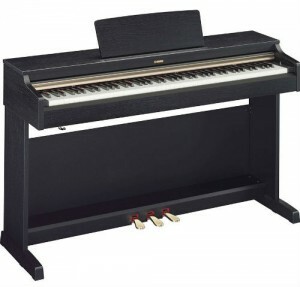 The 525 also stands 34 inches off the ground, which is pretty standard for most console digital pianos. One thing I like is the fantastic finish options that are offered with this model. First, there is the standard Polished Ebony, which will give the piano the look and feel of an upright or concert piano that you might find at a recital or a studio room. Then there is the Dark Rosewood, which has a cool, dark reddish color that I have always loved. And to top it off is the Black Walnut finish, which to me seems to be a wonderful combination of an ebony and wood feel. The piano is built with a three pedal unit and also comes with a music stand, which is great if you’re a beginner and you need a space for your sheet music. There is also a nice sliding key cover, which is of course a great way to preserve your investment. One of the worst things that can happen to a keyboard is that it accumulates dust in the keys, as over time this can harm the functionality of your instrument. Another great thing about the build is that the cabinet has been redesigned so that the sound can carry better, and also so that the piano has more of a traditional feel, something that appeals to a lot of people. The Yamaha CLP 525 is really an exquisite machine when it comes down to the machinery based inside it. Yamaha has always been known for the great engineering and expertise found in their machines, and the 525 certainly is no exception. I always like to start with the keys, because truthfully, this is one of the most important parts of the piano. If the keys don’t feel right, or if they are not suitable for your style or level of playing, then it almost is a waste of time and a waste of money. The CLP 525 is fitted with one of Yamaha’s best key actions, the GH3, or the Graded Hammer Action 3. This is the third generation of the weighted key action system that has been meticulously reconfigured and expanded upon, and to me the feel is really great. Now, at the end of the day, we have to remember that this key action–like most all other digital pianos—is still managing the dynamic of plastic keys, which in the end will never be exactly the same as a real piano. This has to be recognized, especially for those trying to make an unnecessary comparison between the feel of plastic keys underneath the fingertips compared to that of real wood. Truthfully, the only way you will get that effect is if you either buy the real thing or a digital piano that might cost upwards of ten thousand dollars. So to that end, it’s not such a bad thing to have a keybed such as this, but just understand that the actual keys here are not ones that should be mistaken for what a classical pianist practices and plays on. This is, at the end of the day, an entry level Clavinova. The response on the 525’s keys can be a bit rough if you have never dealt with weighted keys before. It certainly is a bit heavier than most digital pianos. There are also four levels of touch sensitivity, so this will be able to match whatever style you want to play. The settings are Hard, Fixed, Soft, and Medium. 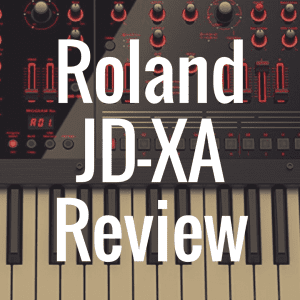 The touch sensitivity basically will change the reaction to the way you press down on the keys, so certain settings will make your playing sound softer and lighter, while others with make it sound hard and more defined. Along with the key action is an astounding 256 notes of polyphony, which will make it virtually impossible to drop a note, no matter what type of composition you may be playing, even if you had up to four sounds layered. For those who aren’t familiar with polyphony, basically this is what allows a large number of notes to be played from the piano at the same time. If the polyphony is low, there won’t be enough space to fit all of the notes, and some of them will be cut out. This mostly happens when the composition is very dense or if you are layering a number of sounds, thus doubling or tripling the amount of notes being played. Sure, it’s okay to talk about the engineering and feel of a piano, but in truth, if you forget about the sound of the piano you’ve completely missed it. And in this area, the CLP 525 certain does not fail. There are ten preset sounds on the piano here, and all of them are high quality. The most important, for many, is the grand piano sound, which serves as the benchmark for the rest of the piano. This sound samples Yamaha’s legendary CFIIIS concert grand piano, one of the most renowned pianos in all of the world. Every single note, with its corresponding breadth, length, and timbre has been meticulously sampled and placed inside the CLP 525, and it is truly amazing. The response of the samples to the keys is really good, and there is also an added effect of resonance within the system to give a more accurate representation of a real piano. Along with this sound are two other acoustic piano sounds, one with a bit of a brighter, more responsive sound, while the other is a bit more mellow, with a jazzy type of feel. After that, there are three different distinctive organ sounds. There is also a nice strings sound and a harpsichord sound, so you can get that perfect Stevie Wonder sensibility that you’ve always wanted. There are a great number of features that come with the Yamaha CLP 525, so much in fact that it’s almost is hard to be able to keep track of them all in one place. One of the best features there is the Real Grand Expression sound engine. This spec is one of the biggest features of the piano, as it gives the machine its feel and sound. It’s what makes the piano able to effectively integrate all of the different mechanical components, linking the touch and expression of the keys to the samples within the system. It also adds in the component of the pedals, making sure everything works together smoothly and successfully. Another thing this piano has is the Acoustic Optimizer, which generates a more full and rounder sound throughout the body of the instrument. Yamaha has used their expertise in making these instruments to understand that the body of the machine can also be manipulated to be able to reverberate a rich and realistic sound. This Clavinova is able to connect to a number of different applications too, whether on iPad, iTouch, or even the actual iPhone. There is an awesome USB to HOST feature, which allows you connect directly from the USB port into another computer or device. One of the things I love the most, however, is the dual headphone jacks that are found on the 525. I always remember the frustration of my younger playing days, when my cheap keyboard didn’t have headphone capability. I could never play at night, or any other time that was acceptable to the other people in my household. This piano not only has one jack, but two. Why two jacks? Well, it’s most ideal so that two people that are trying to practice a duet can play the piano and not disturb family or friends. Another great use of the dual headphone jack is if a parent has hired a piano teacher to come teach their child how to play piano. 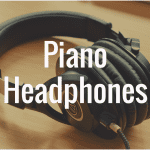 Instead of being concerned that you’ll have to heard all of the sounds of the piano during the entire practice session, the teacher and student can practice together—each wearing their own set of headphones—and not disturb anyone. It’s always good to compare one great digital piano against another, as it helps give you a strong frame of reference. 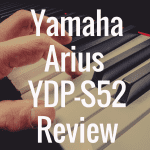 One such piano, in my opinion, is the Yamaha Arius YDP 162 (do note, the YDP-162 has since been replaced by the Yamaha YDP-163, which we have reviewed here). The Arius series is another comparable line of digital pianos that are of strong quality, and the YDP 162 and the CLP 525 have much of the same qualities. In fact, when you really start looking each of them a bit more carefully, you begin to find it a pinch hard to see significant differences. For example, both have the same number of tones and voices, and both sample the Yamaha CFIIIS. With that said, the sound engines are different, as the 525 uses Real Grand Expression while the YDP 162 uses Pure CF. The CLP does improve on YDP in some areas, however. For example, the 525 has the Graded Hammer 3 over the GH key action of the 162. The CLP also has double the polyphony, with 256 notes compared to the 128 notes of the YDP 162. The YDP, however, has a much lower price point, as it can be found for about $1500, while the CLP 525 has a retail price of about $2500 and an in store price of around $2000. Both can potentially be found a bit cheaper online. Both pianos do have about the same build and configuration, and both have nice sliding key covers to protect the instrument. The YDP also has dual headphones jack capability and USB to HOST connectivity, so it will always will be easy to connect to a device. The Acoustic Optimizer present on the CLP 525 is also present on the YDP 162, as well. As you can see, there aren’t too many differences between these two instruments, so it ultimately would be a matter of choice (and if you’re willing to sacrifice a bit in the sound and feel department). If price is what matters most to you, then the 162 is a good choice. But as you can see, the Yamaha CLP 525 graded out pretty darn good in my estimation, and hopefully this review has helped make your decision a bit easier. 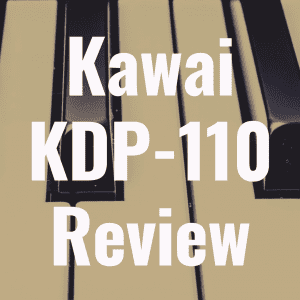 For more helpful reviews, be sure to bookmark Digital Piano Review Guide. Please “like us” on Facebook, as well! 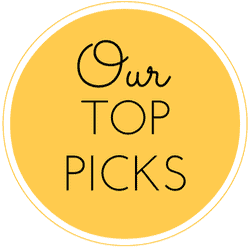 What Is the Best Yamaha Upright Digital Piano? What Are the Best Headphones for Digital Pianos?